Continuing a long standing tradition of celebrating teachers in unique ways, INTI International University & Colleges is hosting a year-long nationwide Teachers’ Conference. Kick starting at its metropolitan campus in Subang, the first conference saw over 300 teachers representing schools across the Klang Valley who were inspired and thanked for their unrelenting pursuit to educate today’s young generation. Chief Executive of INTI International College Subang, Dr. Jane Lim, an academician herself, warmly welcomed the guests in her opening remarks and took time to recognize the great responsibility teachers shoulder in ensuring students are prepared with the right skills and knowledge to face all the challenges that lie ahead of them. “As cliché as it may sound, the teaching profession is truly the most selfless profession there has ever been. As teachers, we dedicate our time and effort to impart wisdom and knowledge to young people who may or may not thank us at the end of the day. In fact, there are times we are seen as both the villain and hero among our students. The ones who eventually see the benefits of the high standards and benchmarks we set, learn to appreciate and thank us for our uncompromising ways. It is only when we receive this acknowledgment and gratitude for our efforts that we truly realize how humbling this profession can be,” she shared. With an uphill challenge of constantly revamping teaching methods to meet the needs of today’s generation of learners, the participating teachers of the conference had the opportunity to engage in a workshop hosted by highly sought after motivational speaker and fellow academician, Dr. Sia Ah Hiok. The workshop, titled “Teaching Gen Z using E.P.I.C.”, focused on a four pronged approach to teaching millennials which was formulated by millennial expert and author, Dr. Tim Elmore. Helping teachers understand the E.P.I.C. approach, which stands for experiential learning, participative, image-driven and connectedness, Dr. Sia shared how this teaching method helps narrow the gap between how millennials learn and the way they are taught. The workshop addressed ways through which teachers can adapt to today’s young generation, whose learning capabilities are very different from the older generations of students before them. Sharing from her own personal experiences as a motivational speaker who has reached out to youths in high schools and universities across Malaysia, Singapore, Indonesia and other Asian countries through leadership training camps, Dr. Sia pointed out the uniqueness of today’s generation of learners and how teachers can deconstruct their teaching methods to seamlessly match the new way of learning. “Today’s generation is overwhelmed with the wealth of knowledge available at their fingertips via the internet. This may pose a challenge to teachers who have a greater task to ensure their teaching materials are current and up-to-date. This workshop hopes to encourage teachers to seek resources and supporting curriculum materials from the internet. Teachers can then properly help students manage and navigate through the wealth of knowledge available by applying the E.P.I.C method whereby students are engaged through participation in activities to enhance their learning. Similarly, with a better understanding of their students’ learning journey, teachers can teach them ways to apply these learnings in their daily life. Indeed, E.P.I.C is a supplementary teaching method where teachers can enjoy their teaching experience with the students and I am sure our participating teachers are eager to apply this experience into their classrooms,” shared Dr. Sia. The conference proved to be a fruitful one as teachers walked away with new insights from the conversations and workshops that took place. It was also a great opportunity for the teachers to network with fellow educators from other schools and exchange ideas and innovative teaching methods to help them in the classroom. Teachers were also given the opportunity to win some exciting prizes through a lucky draw session held as part of the event. “As an education institution, INTI continues to focus our efforts in understanding the teaching and learning capabilities of today’s generation. This in turn helps us engage with our fellow educators from our partner schools to share these insights. Our landmark survey on Gen Z conducted in 2015 among over 500 13 to 19 year olds is one such example of how we are able to deep dive into these areas and explore opportunities to enhance our teaching and learning methods,” shared Dr. Jane, who further elaborated that the survey findings uncovered that this generation is one that is hyper-connected with a strong and active virtual presence. Citing the survey findings, Dr. Jane went on to say that 75% of the survey respondents shared that they spent their time connected online for the purpose of surfing the Internet, that most are comfortable socializing online than face-to-face, and that short messages are the key to capturing their interest and attention. “Using key insights from this survey, INTI has been able to progressively re-energize our academic delivery and cater to Gen Z’s learning process more efficiently and effectively. 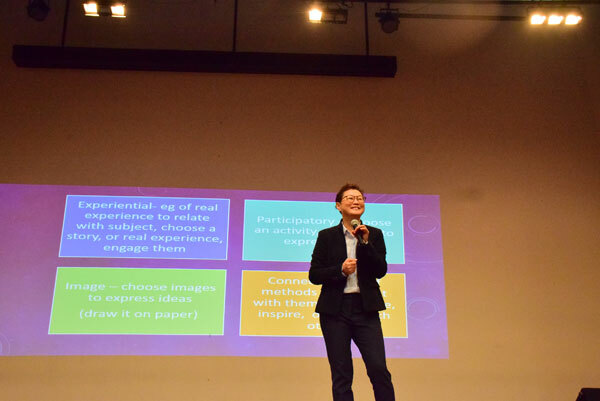 We believe sharing these insights with our fellow educators is key to changing the way we address Gen Z in their learning sphere,” shared Dr. Jane Lim. 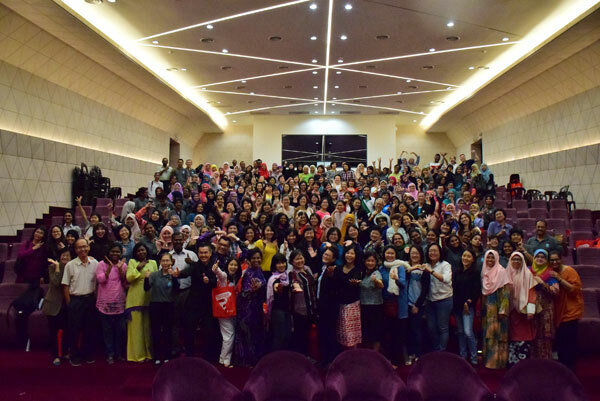 INTI more recently concluded two more conferences successfully in Ipoh, Perak and Kuantan, Pahang with a total of 500 teachers from the Northern region of Malaysia participating and gaining meaningful insights from the workshop and activities. INTI’s Teachers’ Conference will continue to be hosted throughout the year as it expands to other parts of Malaysia to provide teachers across the nation the opportunity to engage in the discussion of educating Gen Z while celebrating their selfless contribution in educating the future generation of leaders for the nation.